Readers with Android smartphones and devices will be happy to know that the Gluten Free Philly business finder app is now available. Like its iPhone cousin, the Android version allows you to search for more than 1,200 curated gluten-free-friendly restaurant, bakery, market and attractions listings in southeastern Pennsylvania, southern New Jersey and all of Delaware. You can see what's closest to your location and make use of other great features like turn-by-turn directions and menu links. More screen shots and the full description of the app can be found at the Google Play Store and the Apple App Store. The cost is just $2.99. Although Jose Garces's just-opened Cuban diner Rosa Blanca (707 Chestnut St., 215-925-5555) doesn't yet have a gluten-free menu, the kitchen can accommodate requests. Located in the Washington Square West section of Philadelphia at the former Chifa location, the diner serves breakfast (starting at 7 a.m.), lunch and dinner and has an extensive rum program. Latin food truck Delicias has opened its brick-and-mortar location in the Queen Village section of Philadelphia (526 S. 4th St., 267-687-7631) serving gluten-free arepas. Several appetizers and sides are also gluten free. Vegan Commissary (1703 S. 11th St., 215-964-3232) is looking to open in Philly's East Passyunk neighborhood within the next two weeks. The menu will be fully vegan and largely gluten free - look for dishes like Polenta & Roasted Root Vedge, Za'atar Eggplant and Mexican Chocolate Pie - and the kitchen will have a dedicated fryer for fresh-cut fries. Reader Andy U. let me know that Wilmington's Tierra Mexicali Grille (4710 Limestone Rd., 302-384-6657) can accommodate gluten-free orders. Diners have the option of ordering crispy corn taco shells and soft corn tortillas with their protein and add-ins. Firebirds Wood Fired Grill has soft-opened its Moorestown Mall location (400 Rt. 38, 856-380-0604), the chain's first in New Jersey, with the grand opening on Sunday. The restaurant has a gluten-free menu. Mageline's Confiserie (302-399-3009) offers free delivery of its gluten-free French macarons within the city of Dover, Delaware. Holiday versions of the confections will be sold by the piece and in pre-packed boxes of six and 12 pieces at a pop-up tomorrow from noon to 4 p.m. (or until sold out) at Fromage in Middletown (10 W. Main St., 302-463-5157). They're also are available year-round at Governor's Cafe in Dover (144 S. Kings Hwy., 302-747-7531). This month's First Draft beer column highlighted the Green's family of gluten-free beers - three hearty Belgian ales and a new American-style lager. Reviewer Chris let me know that Rittenhouse Square's Tria Taproom (2005 Walnut St., 215-557-TAPS) has hard ciders on tap and a cool website feature that lets visitors see just how much of a particular beverage is available. 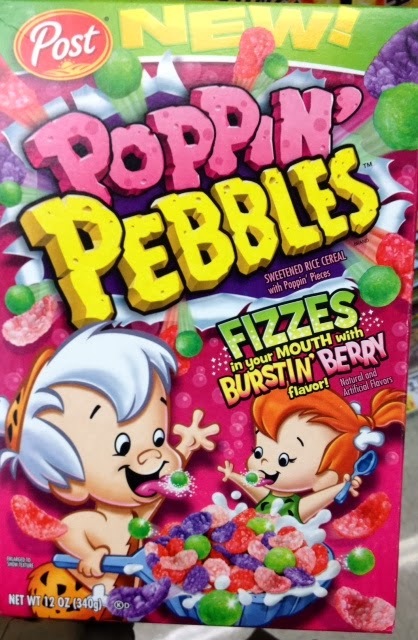 If you've ever wondered what it would be like to combine Pop Rocks with Pebbles cereal (come on, raise your hands), wonder no more: Poppin' Pebbles has no gluten ingredients. I spotted these at the ShopRite on Evesham Road in Cherry Hill. 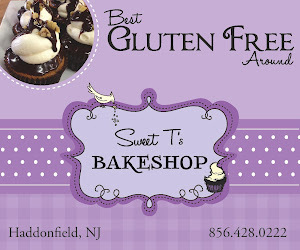 Gluten-free/dairy-free/soy-free bakery Sweet Megan will soon have a storefront in Holland, Bucks County (234 Holland Rd., 215-550-5813) where customers can pick up advance orders for occasion cakes and other sweets.